Any fans of Roald Dahl’s famous story can’t fail to be impressed by this magical and wondrous piece of children’s theatre. Full of mischief and fun, potions and lotions – giggles and cheering are a guaranteed response from any audience – young and old alike. 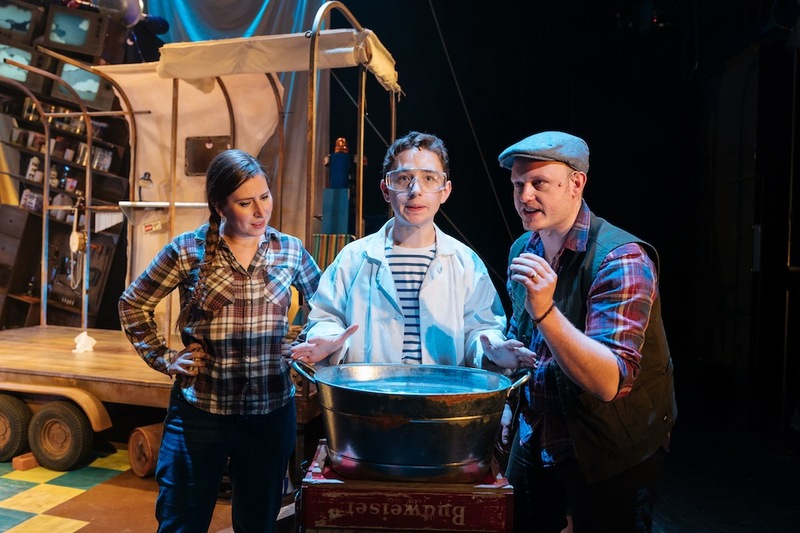 Gloriously entertaining, this joint collaboration between Curve and Rose Productions, brings to life the loveable and energetic George, magnificently played by Preston Nyman, who is driven to distraction by his cantankerous and demanding Grandma when she comes to visit. No longer able to escape to the imaginary world he so loves when reading his adventure book during the school holidays, he is now at the beck and call of his fault picking Grandma, destroying all his plans. Determined to put an end to her endless grouchiness, he creates a medicine of all medicines. Encouraged by the rupture of laughter from the youngsters who are mesmerised by his spell binding concoction, George produces a gloopy brown liquid that has the most spectacular of results. In a scene of utter jaw dropping madness, his ghastly Grandma (Lisa Howard) is shot into the air and suddenly has arms that would make Mr Tickle’s look tiny in comparison. Once George’s parents have recovered from the shock of seeing the much enlarged ‘Grandma’, his Dad comes up with a cunning plan. What follows is hilarious as George, with the help of the audience tries to recreate the medicine so his father can attempt to produce oversized profit making animals. There’s a remote control chicken, mad scientists in white coats and musical interludes from George’s Dad (Justin Wilman). 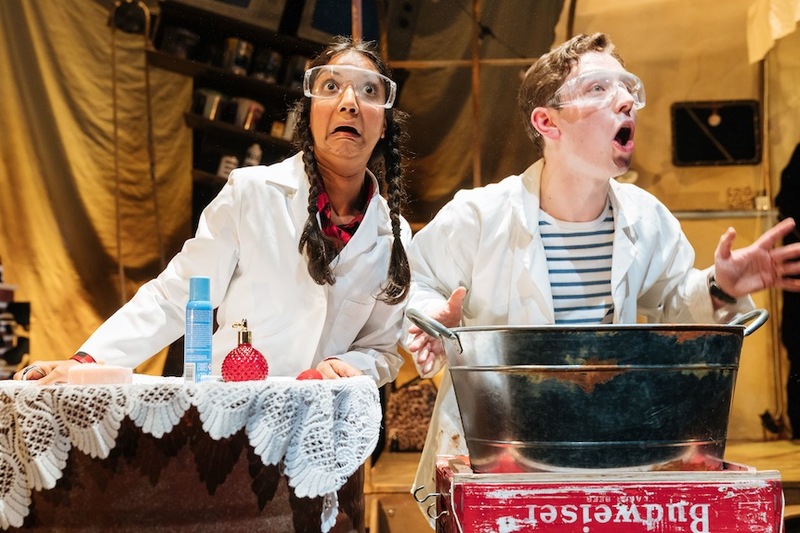 But special mention must go to Chandni Mistry who plays a hilarious, dancing giant chicken who was also a beneficiary of George’s marvellous medicine. 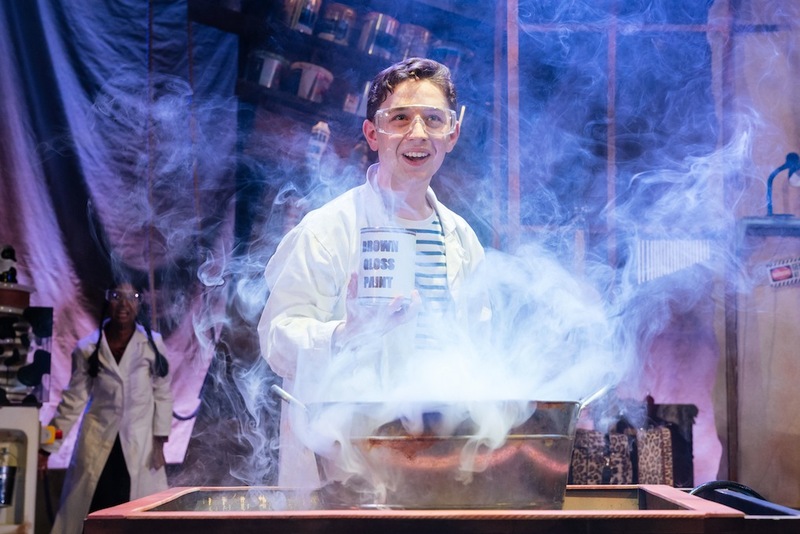 As George and his Dad, watched with trepidation by his rather anxious and nervous Mum ( Catherine Morris) go through the process of making another pot of magical potion, cheers of ‘In’ are encouraged as the cast dash around the fun stage at break next speed trying to source all the right ingredients. There’s a squirt of perfume, a dash of chilli, gallons of brown paint, and lashings of shampoo to name but a few. There’s phizzing and whizzing, screeches and gasps and eye popping special effects as the mixture takes hold. Sadly it doesn’t quite have the life changing results George’s Dad was hoping for but as you would expect from the famous story teller, a happy ending always prevails. 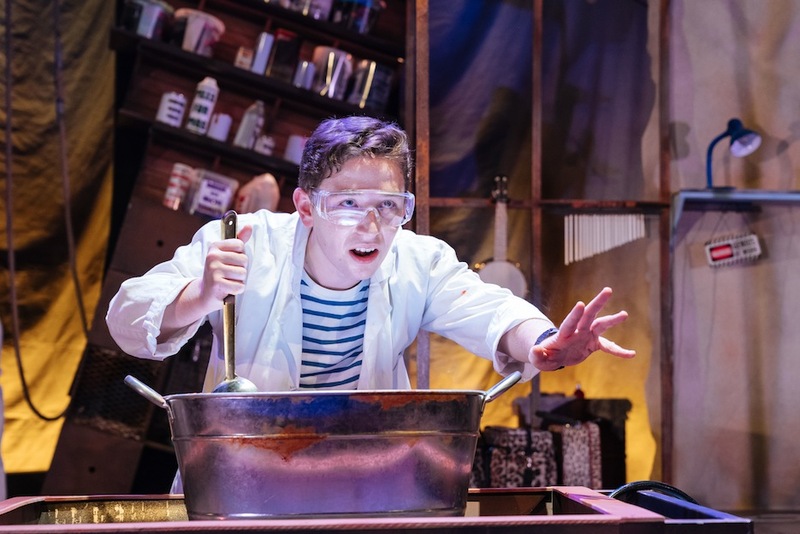 This pacy, fun and hysterical fun show is a must for any Dahl loving families, who won’t leave without having laughed until their sides hurt and keen to come back for more. 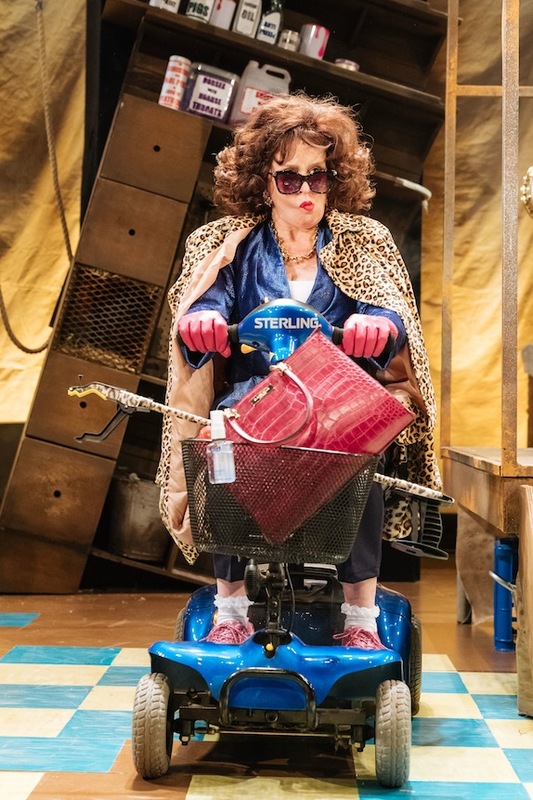 But as the children are continually reminded ‘Don’t try this at home’ after all no one really wants to see their grumpy granny turned into a mild mannered and polite old lady – or do they?